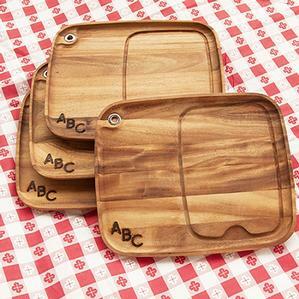 When it comes to serving great grilled food, presentation is everything. Our solid Acacia wood steak plates will be the talk of the table! 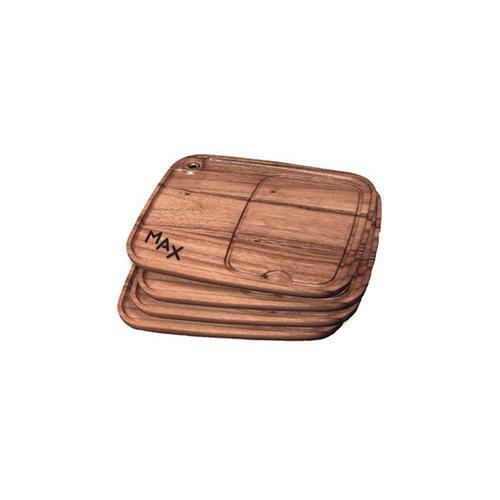 Each features a beveled edge and recessed steak area to catch the flavorful juices and keep your table perfectly clean. Personalize them with your choice of up to three custom branded letters. Includes 4 plates.